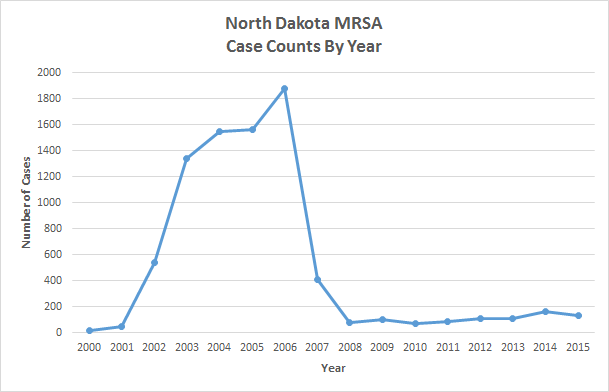 Methicillin-resistant Staphylococcus aureus (MRSA) became reportable in the state of North Dakota on February 1, 2000 for invasive sites such as blood or cerebral spinal fluid only. All MRSA infections became reportable on August 1, 2002. This did not include screens. Effective April 1, 2007, the administrative rule was changed again making MRSA isolated from only invasive sites reportable.